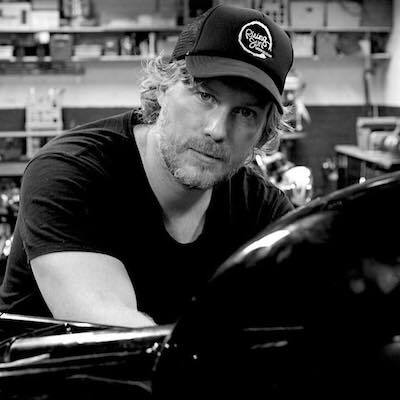 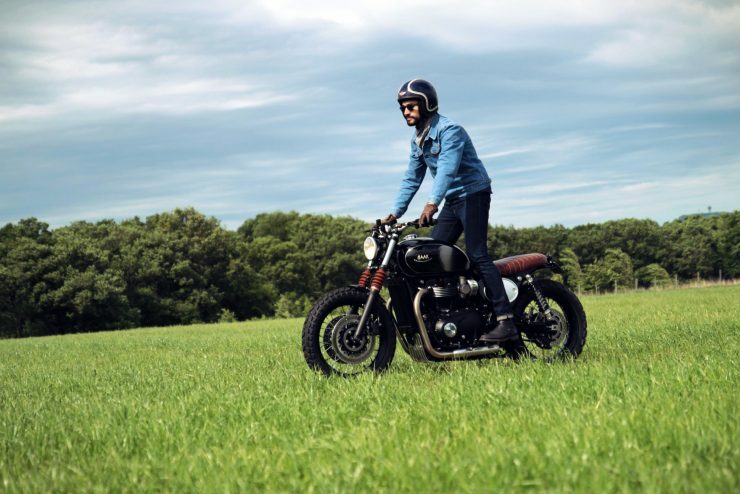 BAAK Motorcycles started out in founder Rémi Réguin’s basement workshop back in 2012 and has since grown into a 5 person company with a dedicated 3200 square foot workshop in Lyon, France. 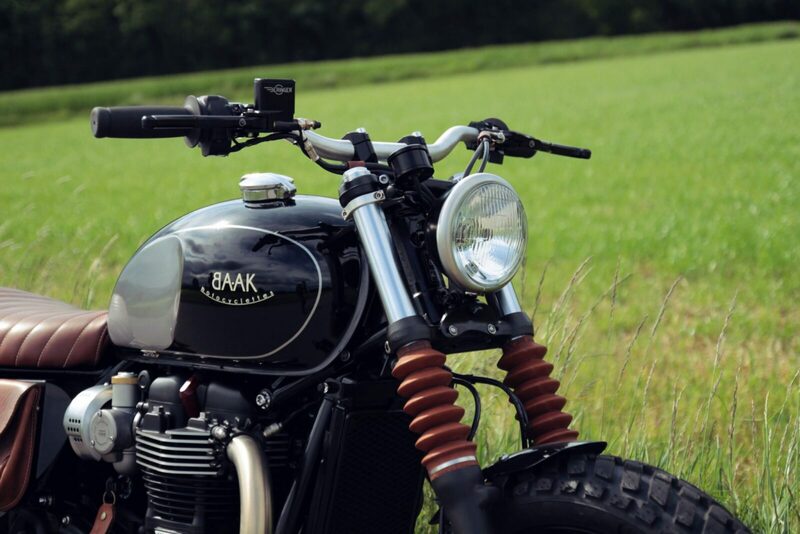 BAAK build custom motorcycles, but they also make a range of parts for Triumphs, Moto Guzzis, and Royal Enfields, and interestingly they also build bespoke Minis. 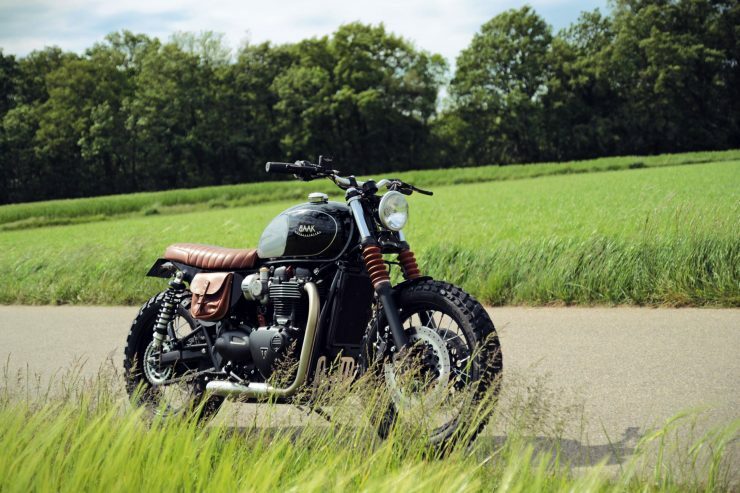 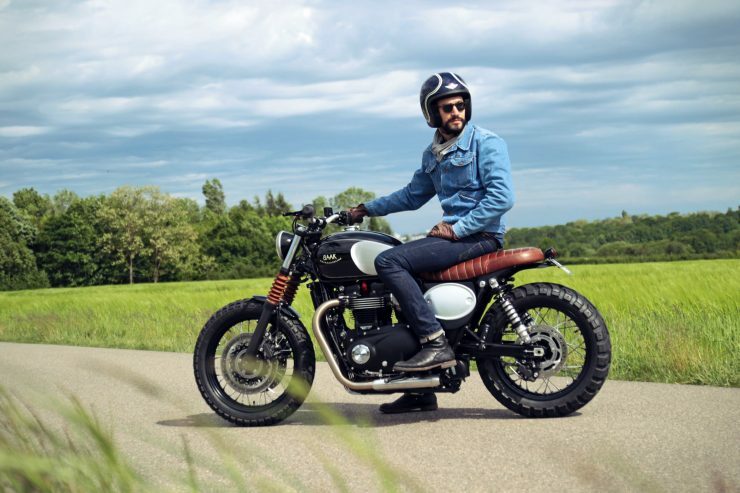 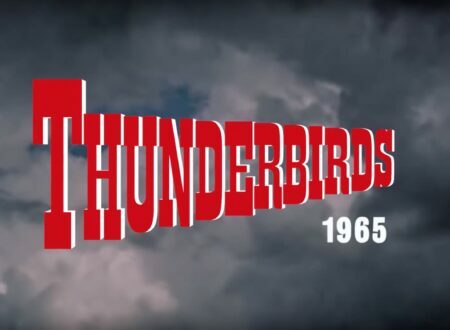 The bike you see here isn’t their first Triumph, but it is their first Triumph Bonneville T120 Scrambler. 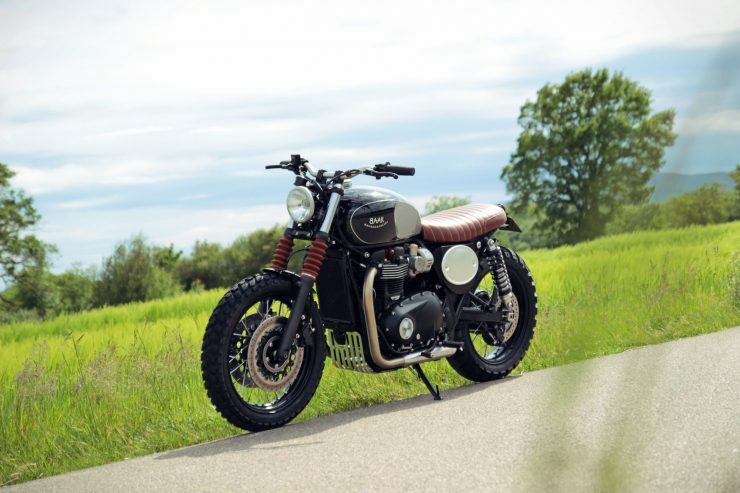 In 2016 Triumph unveiled a number of new motorcycles, totally refreshing their popular retro-classic line. At the top of the new range is the Triumph Bonneville T120, a clean-slate design that shares a name with its immediate forebear, but nothing else. 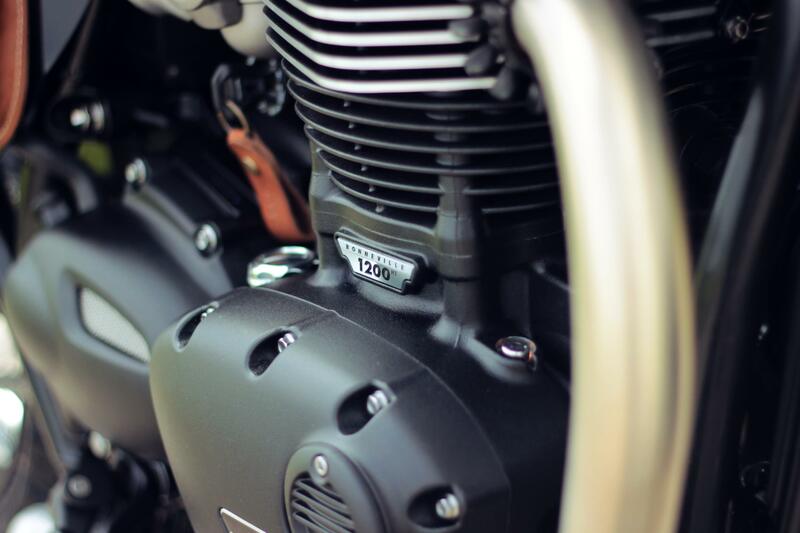 Unlike the 826cc parallel twin in the earlier Hinkley Bonneville, this new bike has a 1200cc parallel twin, with 4-valves per cylinder, a SOHC, a 6-speed gearbox, and twin throttle bodies designed to look a lot like carburetors. Despite the significant capacity increase, the new engine is approximately the same physical size as the outgoing model. 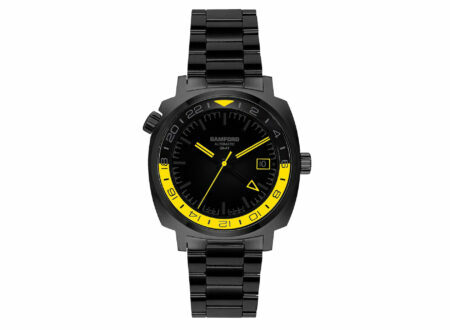 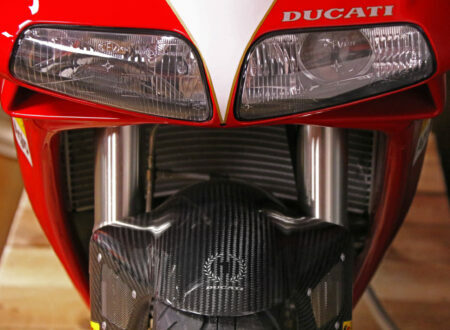 It also produces 54% more torque at 77.4 lbf.ft, and 80 hp at 6550 rpm. There’s even an under seat USB charging port to keep your phone, GPS unit, or camera charged when you’re out on the road (or off it). 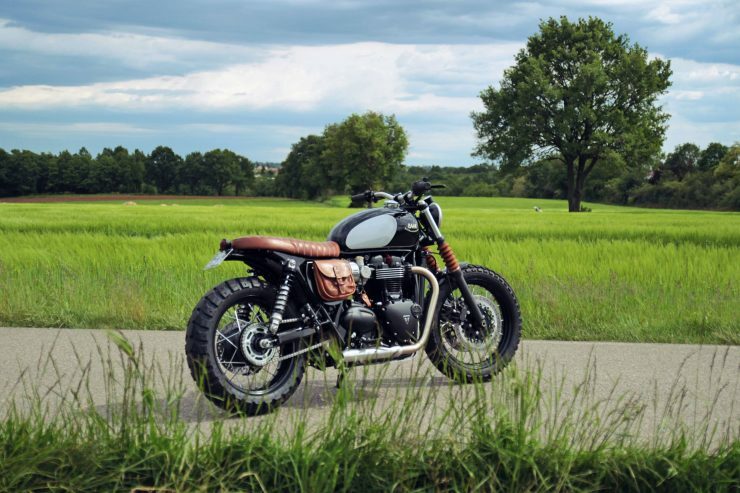 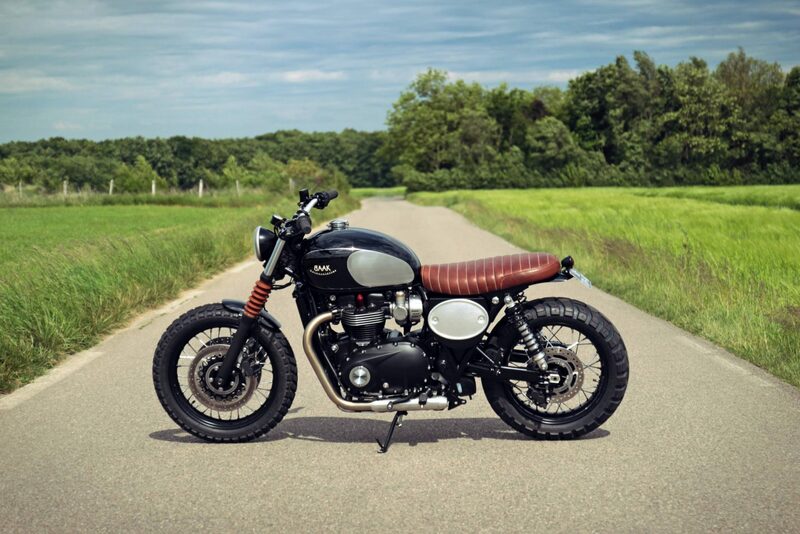 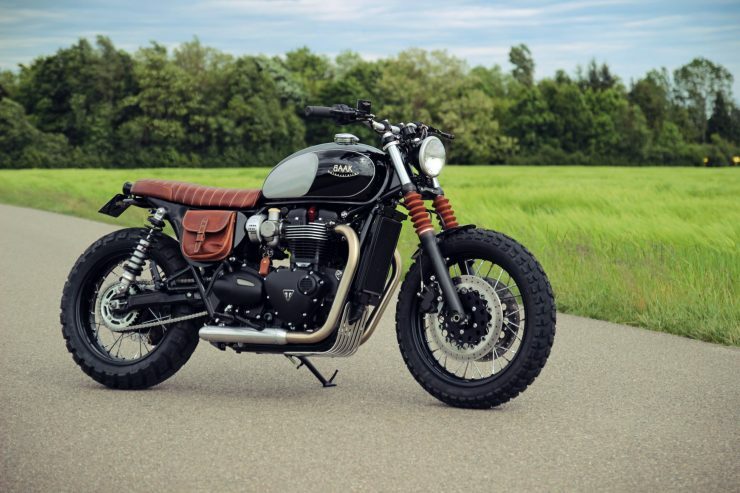 The reviews that have come in for the new T120 Bonneville since its arrival have been overwhelmingly positive, in fact more than a couple of professional motorcycle journalists have made their way to the local Triumph dealer after their reviews were completed to place their own orders. 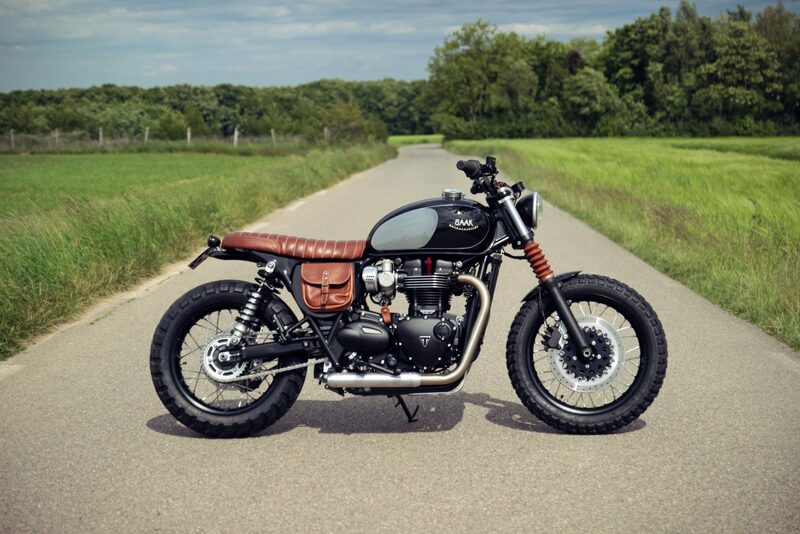 Due to the relative newness of the T120 we haven’t seen all that many customs hitting the asphalt just yet, but those we have seen have been impressive. 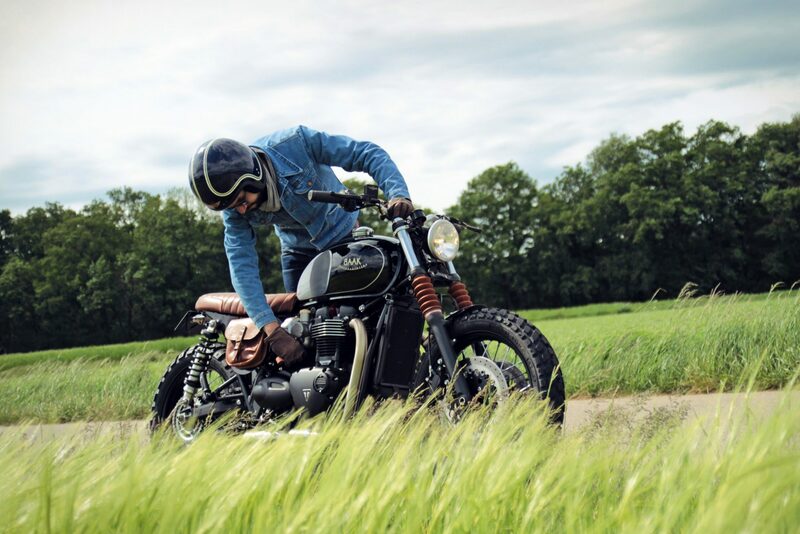 And this example by BAAK Motorcycles is one of the first scramblers we’ve seen based on it. BAAK typically start their builds with a tear down to the frame, this build was also used as a testing platform for a series of new bespoke parts that were designed to fit the new Triumph perfectly. 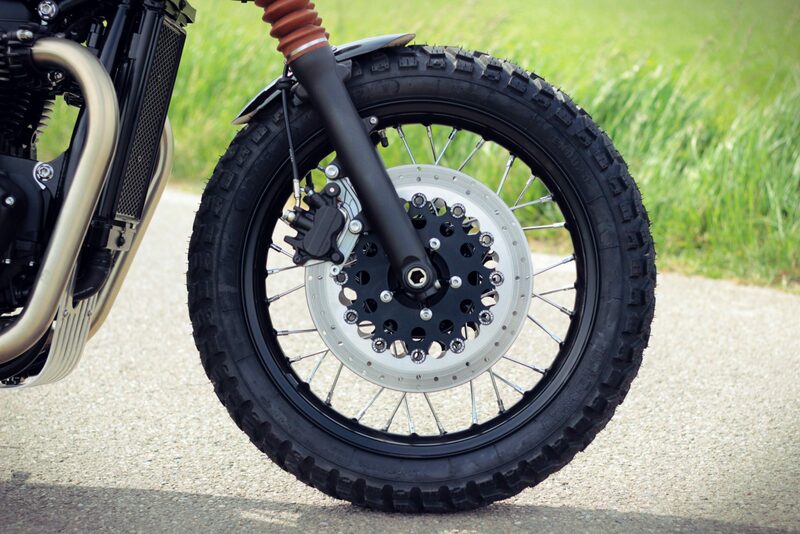 In order to make the bike more capable of exploring dirt roads and fire trails a matching set of Heidenau K60 tires were fitted front and back, and a new set of Big Body aluminum shock absorbers were developed in collaboration with the Shock Factory. 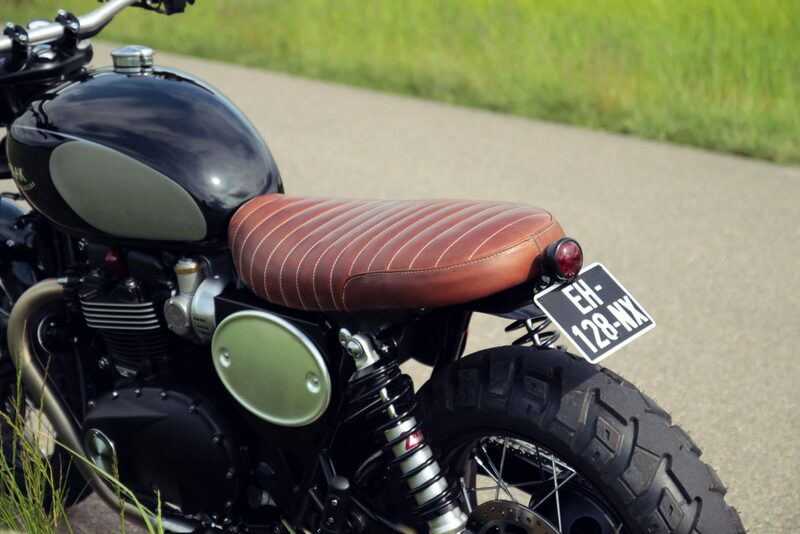 A new aluminum sump guard was then fabricated and fitted, along with aluminum side covers, a small front fender, and a rear mudguard with a license plate support. 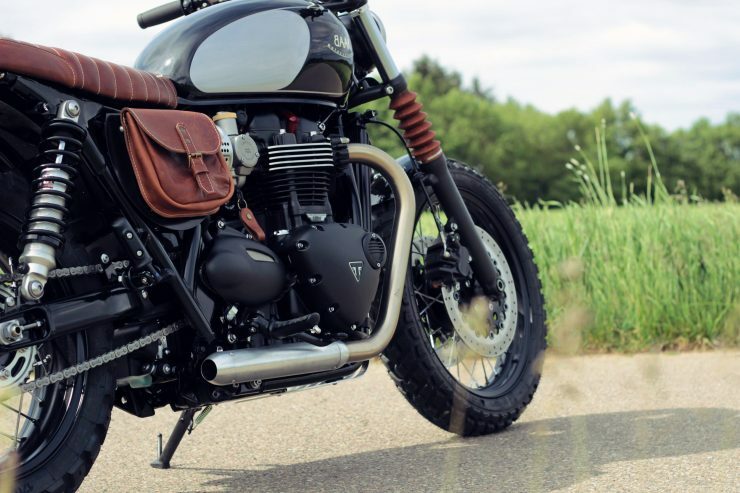 One of the signature materials used by BAAK is leather, so the Bonneville has a custom leather seat mounted to a short seat kit with a machined aluminum subframe, and an HDPE seat pan. Unusally, the team also fashioned a set of fork gators from leather, as well as a small saddle bag on the righthand side. 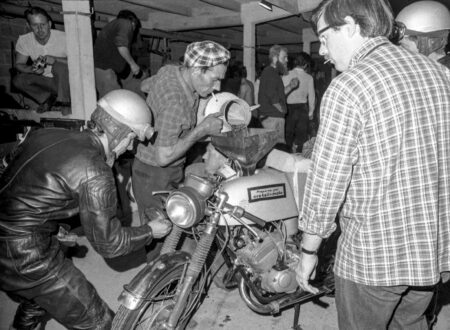 A new Bates headlight with a brushed trim ring replaced the original unit, and a Motogadget Tiny speedometer replaced the stock unit but maintained the core functionality. 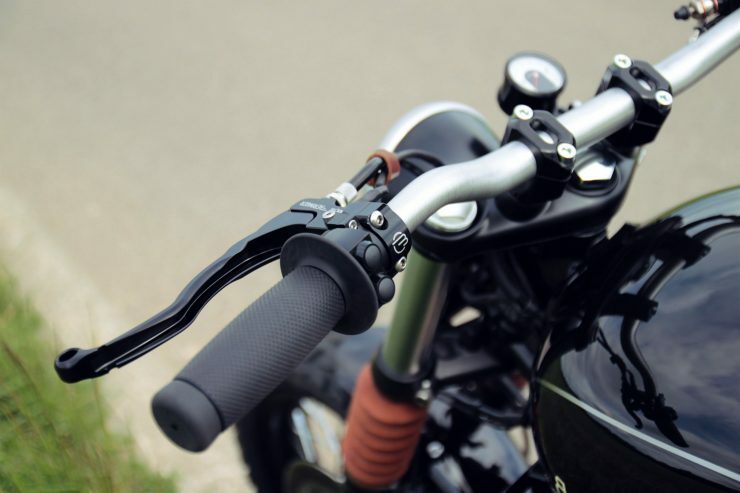 The handlebar controls are also Motogadget units, and LED mini blinkers replace the original units front and back. 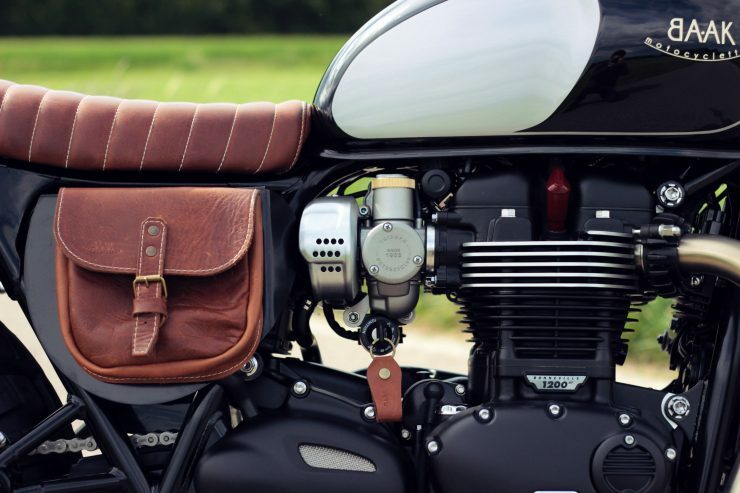 One of the signature elements of the Bonneville design has always been the knee indents on either side of the fuel tank, often with rubber knee guards fitted. The team at BAAK kept the indents but chose to go with a brushed steel finish, which works well with the brushed aluminum elements and the bobber-style exhaust and its aluminum mufflers. 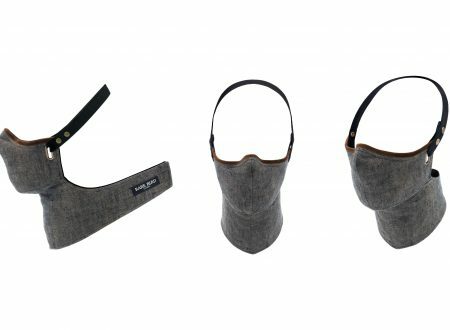 This series of anti-pollution masks from Rare Bird London were developed to both look good, and provide a UK Ministry of Defence military-grade air filter that can be worn everyday. 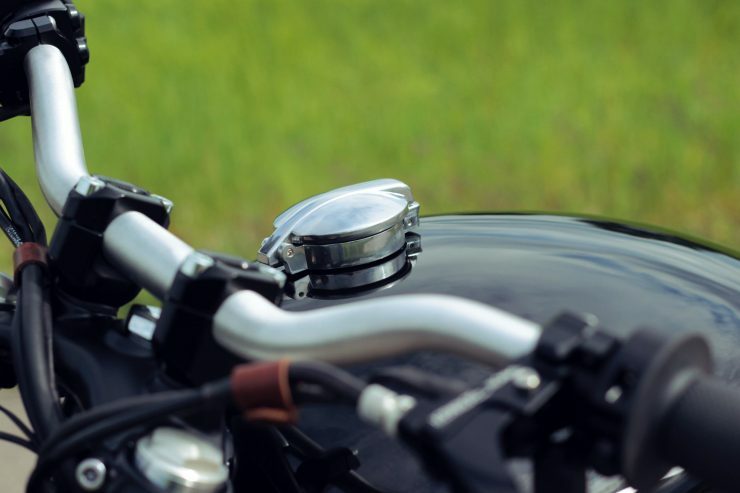 The user-replaceable filter is a 100% pure activated carbon cloth with sub-micron filtration capability to block out particles down to the 2.5 micron size range….